Today I'm flying off to Dallas, TX for a friend's wedding. And since Dallas also happens to be the hometown of Lela Rose, what better opportunity to highlight some more of her dresses! 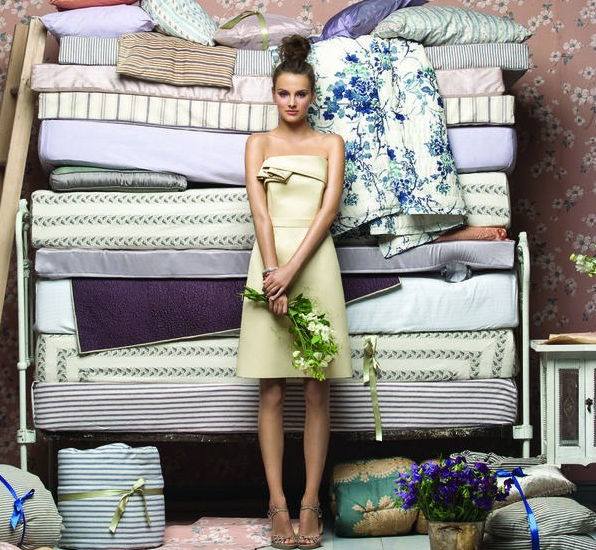 This season's editorial photo shoot took its theme from Hans Christian Andersen's fairytale "The Princess and the Pea". We love that Lela Rose continues to expand her bridesmaid line with affordable dresses that take fashion risks but stay rooted in traditional romantic elements. 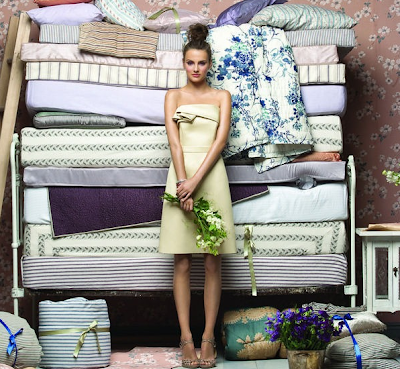 Lela Rose has added a few more fun styles coming down the pipeline for the Fall 2011 season, and we'll be sure to give you a sneak peek from Bridal Market in April!